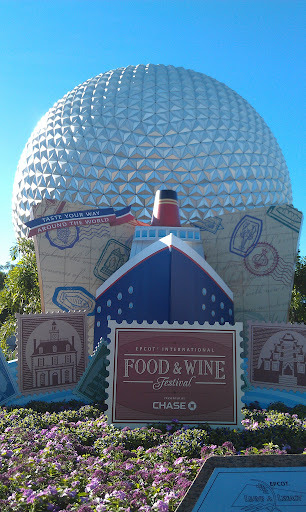 Laughs & Rants from My Inner Child: The start of our Epcot day! The start of our Epcot day! I met a group of people in this spot, had to be 20, all family. I offered to take their pictures so they could all be in it. Five cameras later... Just kidding, I was happy to do it. The day started with John's impersonation of Walt yelling, "This isn't my EPCOT!" That's always good. Food and Wine is about to open. Can't wait for my fork of flavor! Fort Wilderness: We are home. Welcome to Disney's Animal Kingdom! All Ears fan says hi! All Ears fan remembers my Fort Wilderness tour! What a way to start the trip!